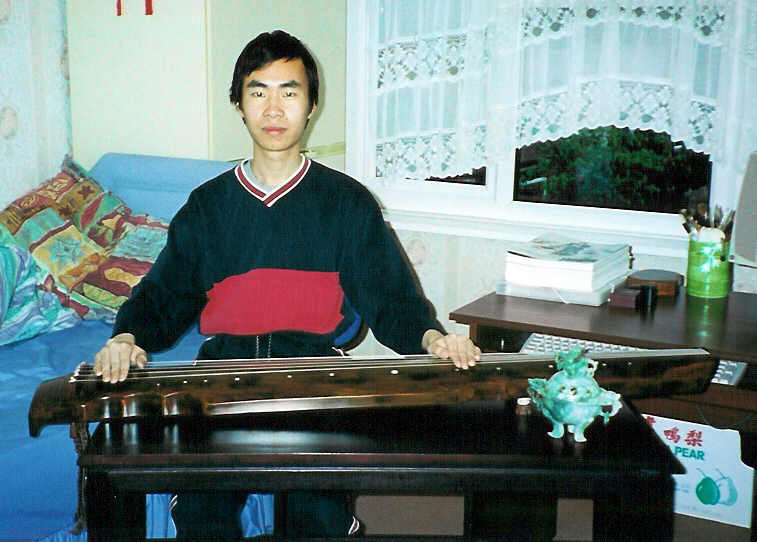 The North American Guqin Association (NAGA) held an online guqin gathering (yaji) on Saturday, December 18 th at 3:00pm Pacific Standard Time, Saturday, December 18 th 6:00pm Eastern Standard Time, Saturday, December 18 th 11:00pm GMT , Sunday, December 19 th 7:00am Beijing time. Qin players in the USA, Canada, England, Belgium and China met online to discuss and play qin . Changmen Yuan 每 Paul Cheong.  Cultural aspects of qin 每 qin is an essential part of Chinese culture, and is inseparable from it. In order to understand qin , you need to understand the wider aspects of Chinese culture; to understand Chinese culture as a whole, you need an understanding of qin . Qindao , the ※Way of the Qin § 每 embodies not just music but a whole way of thinking and behaviour. The self-cultivation aspect is extremely important but is rarely given the emphasis it deserves. 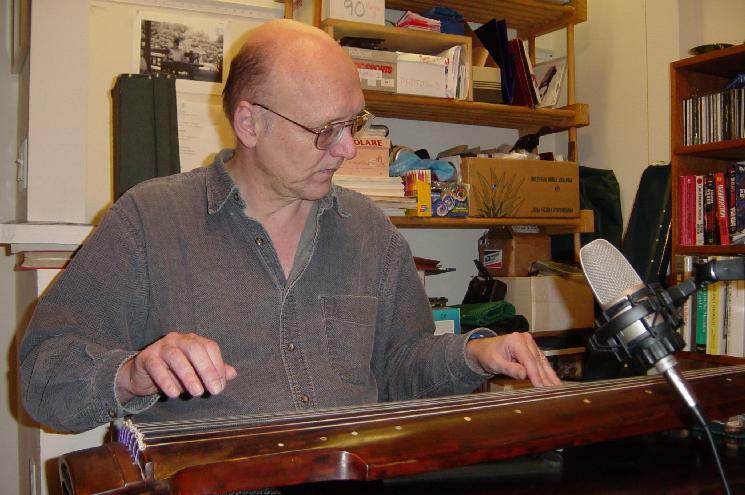 There is far more to the qin than just musical technique. Nevertheless, a good technique is of course important, as is a thorough grasp of Chinese music theory.  Perceptions of the qin 每 many people, even some who know the instrument, believe that the qin is the exclusive preserve of a privileged minority, and that all its music is quiet and meditative. This is not so, and today the qin is accessible to, and enjoyed by, a wide cross-section of society. Many pieces, such as Guangling San and Liu Shui , are passionate and powerful.  The best age to learn qin 每 between 16 and 26. Any younger, and one is too young to understand the deeper significance of the music. Older, and there are too many distractions and worries about work, family, etc. to allow adequate time to practise.  What qin activities attendees had been engaged in 每 these ranged from attending yajis in the US and the UK to improvising and composing new pieces, to reconstructing Ming Dynasty pieces. 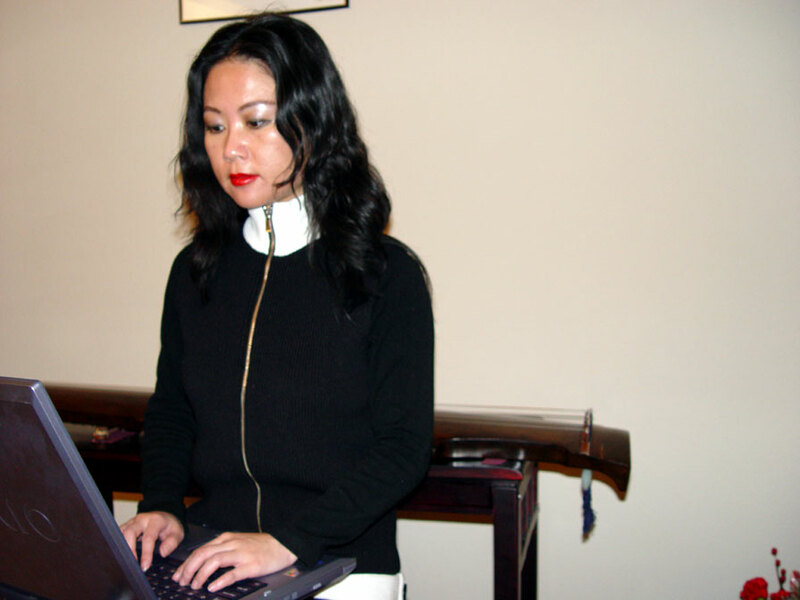 Wang Fei's guqin activities in China are covered in a separate report on NAGA's activities for 2004.  How the qin and its culture could best be made known outside China 每 various suggestions were made. The Internet was seen as the best medium for reaching a large, dispersed audience such as that if the USA.  Microphone placement when playing qin online 每 the optimum position for the microphone was found to be under the instrument, but not directly under either sound hole. If placed above the qin , the sound card cuts out during quiet passages and switches to receive. It should be on a microphone stand; if placed on the table, it will rattle when the table vibrates, although sticking it there with Blu-Tak can prevent this. The software used was Yahoo Messenger. It was chosen because it had worked reasonable well before. Because of the limitations of Yahoo Messenger, we could not use webcam and voice at the same time, so we used voice only . Attendees without a microphone could listen and type. Yahoo Messenger crashed on several occasions, and audio was often distorted or broken up. This may have been due either to network conditions or to inappropriate microphone positioning causing the voice-operated switch mechanism to cut out. It was suggested that next time we might experiment with different technologies, such as AIM or Skype. The meeting was greatly enjoyed by all, and the meeting continued far longer than the 1 to 1.5 hours originally anticipated. A few people carried on after the meeting officially ended. 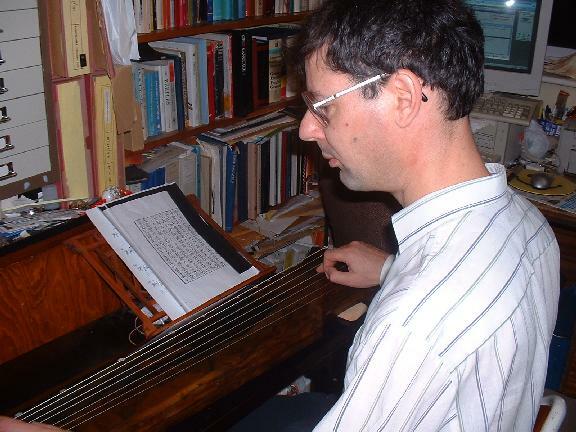 Numerous topics were discussed, and several qin pieces were played. Despite the unreliability of the technology, everyone felt that it was worthwhile, and hoped that more online yajis will be held in the future. Please see separate reports for NAGA's review of the year 2004 and NAGA's plans for 2005.